Ever wondered how to make your bathroom look luxurious without blowing the budget? Well, you're not alone. 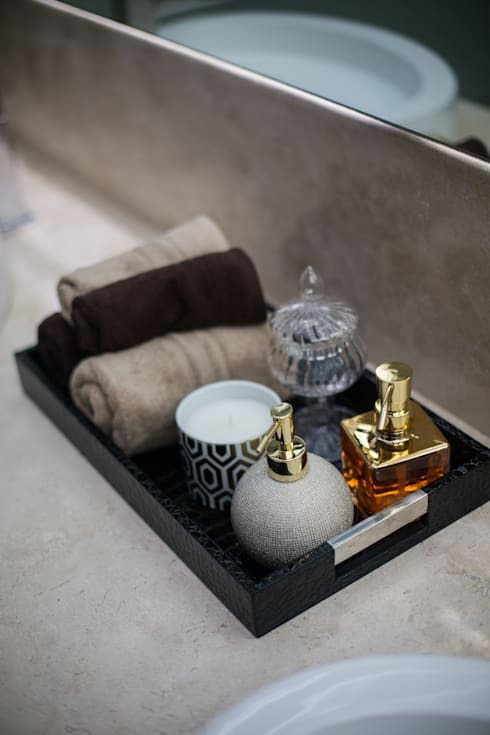 Luxurious bathroom accessories are hugely popular because they are the easiest way to transform a bathroom without changing out the more permanent fittings. 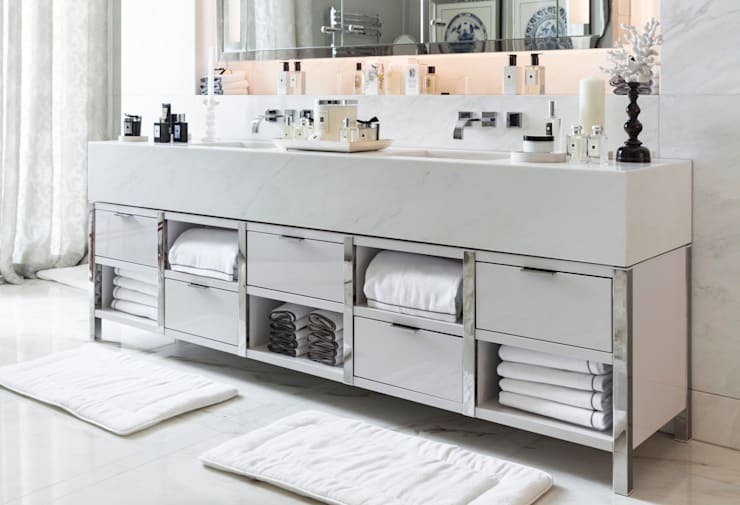 But which accessories can you use to create a more luxurious bathroom, and what are the easiest ways to style up a bathroom without breaking the bank? Well, here at homify we're here to help! So, welcome to 11 easy ways to make your bathroom more luxurious. There's sure to be something to help everyone! 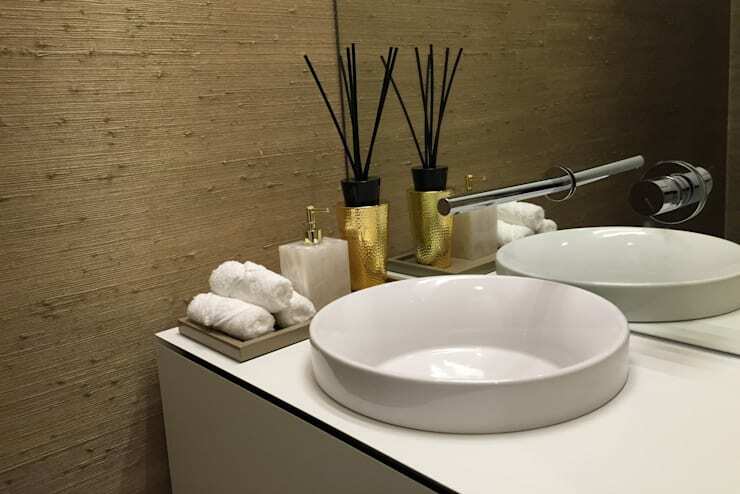 Luxurious bathrooms have a fresh natural ambience. So a beautiful indoor plant is a natural addition to the bathroom. For a spa-like look, choose something with white flowers like this and house it in a beautifully glossy metallic pot. Roll the towels so it feels like you're in the bathroom of a five star hotel. Then arrange them in beautiful little stacks and put them on display. Create a glamorous tray of decadence. It could hold a lovely perfume bottle, decorative glass jars and a few hand towels. It might even hold a couple of breath fresheners and candles as well! Many of us have a whole collection of mismatching towels and bathroom textiles. This makes the bathroom look visually messy. So upgrade the hand towels, bathmat and any other textiles—and make sure they all match! Mute and subtle tones are usually a good idea for a luxurious look. 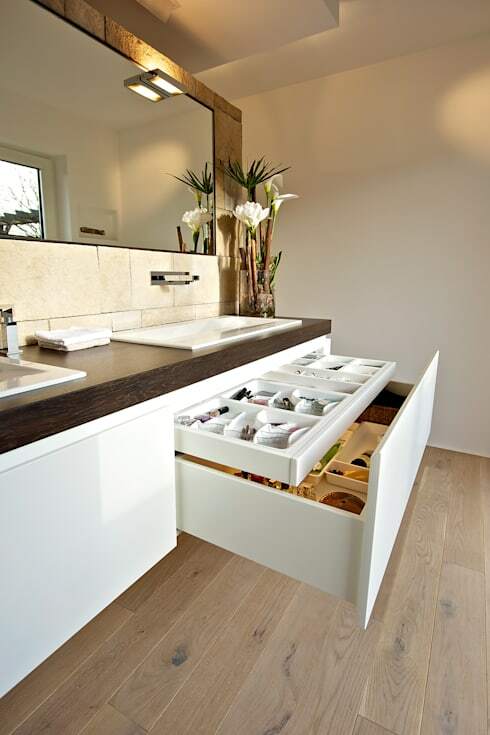 Invest in some decent drawer organisers with lots of small compartments. That way it's a pleasure to put things away and your surfaces are clear and uncluttered. Create a collection of your most beautiful, colour co-ordinated items and put them on display. 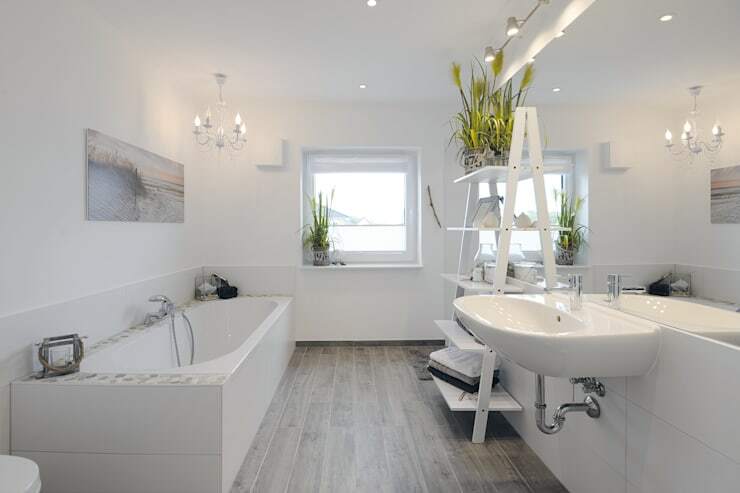 Just make sure they fit within the larger colour scheme of the bathroom. Soft neutral and warm tones like this are the perfect choice. 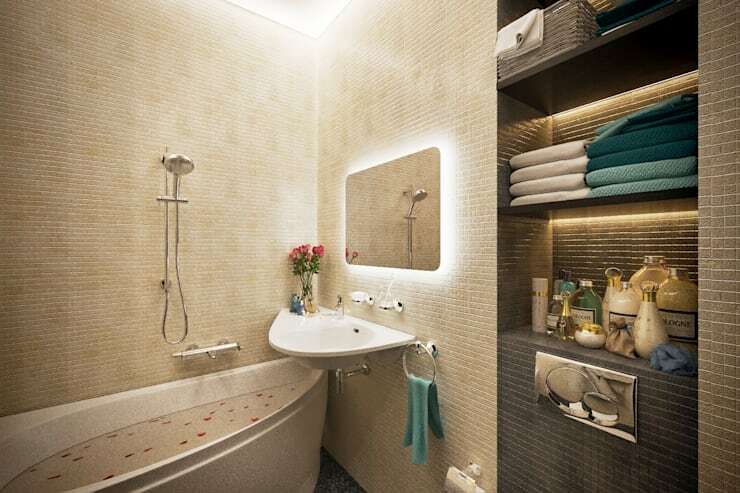 A luxurious bathroom never has harsh or unflattering lighting. Consider adding a large organic style lampshade to soften the light and add a more gentle, textured ambience to the bathroom. Strip lights are incredible cheap and flexible these days. Attach them to the undersides of open shelves or behind the mirror. Just make sure they're hidden so the light bounces around to create an even diffuse glow. This interior comes to us courtesy of interior architects Lotos Design. Chandeliers convey luxury like no other lighting fixture! The lavish curves and ornamentation of this style of lighting add an old style elegance to any bathroom. If you don't have the opportunity to actually change out the light fittings, just hang the chandelier from the ceiling. You might even upcycle an old chandelier and paint it white! The soft texture of a bamboo screen add a very earthy, nature feeling to a bathroom. This goes for any sort of natural material. 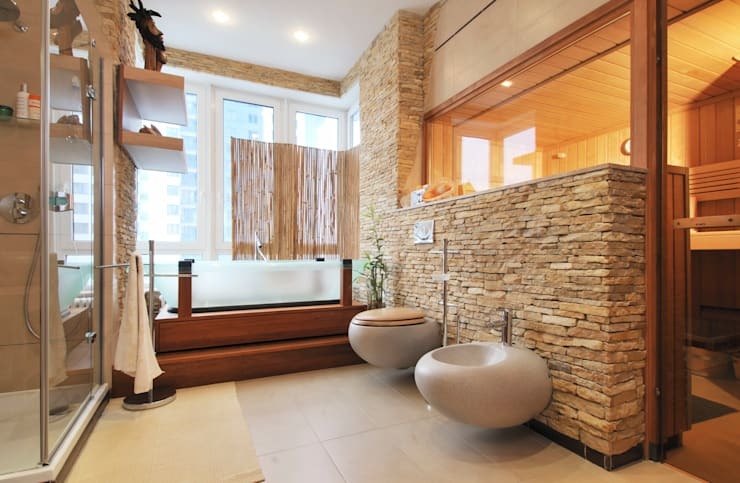 Just check out the floating wooden shelves and natural stone wall in this luxurious bathroom. 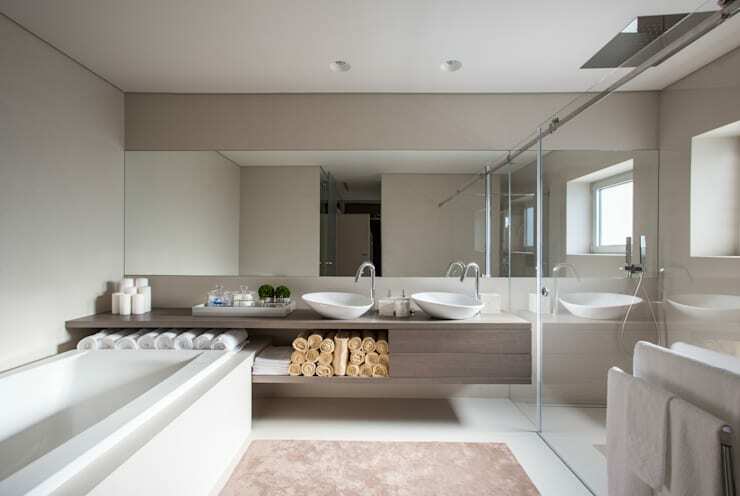 A luxurious bathroom engages all the senses. So a gentle and attractive scent is a must-have feature. Diffusers are a very easy and low maintenance way to scent the bathroom. They could even add a little glitz as seen here. Luxurious homes have a special sense of harmony and grace. Nothing helps create such an ambience like the principles of Feng Shui. Keep reading here for more tips and inspiration: Feng Shui basics for a harmonious home. Which of the luxurious upgrades we have explored today is your favourite? Let us know in the comments!